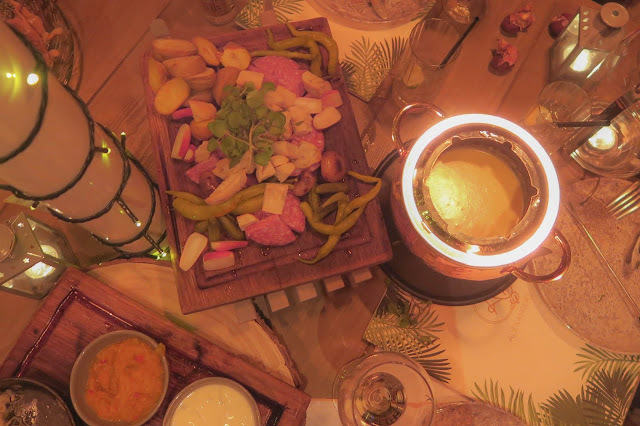 Alexander's in Skipton have opened up their incredible pop-up Après Ski dining experience Off-Piste, and I was able to sample the menu on launch night! The hideaway ski chalet is warm and cosy, totally oozing hygge charm. It is nestled next to the Leeds Liverpool canal. I visited last year with my husband and we had one of the most relaxing meals ever! This year I went with one of my best friends for a catch-up, and a chance to sample the amazing menu. 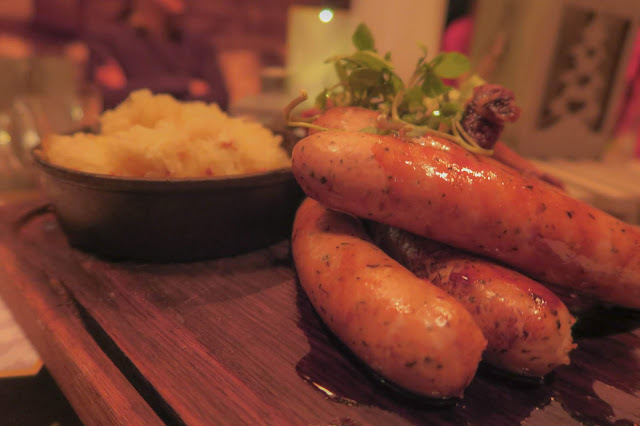 The food is incredible, it's in the form of Après Ski style sharing menus, which includes cheese fondue, beer cooked frankfurter sausages and a cured fish smorgasbord, plus winter warmers like roast chestnuts, winter soup and pulled pork with flat breads, apple sauce and crackling. There is so much food involved, and it's all absolutely delicious. 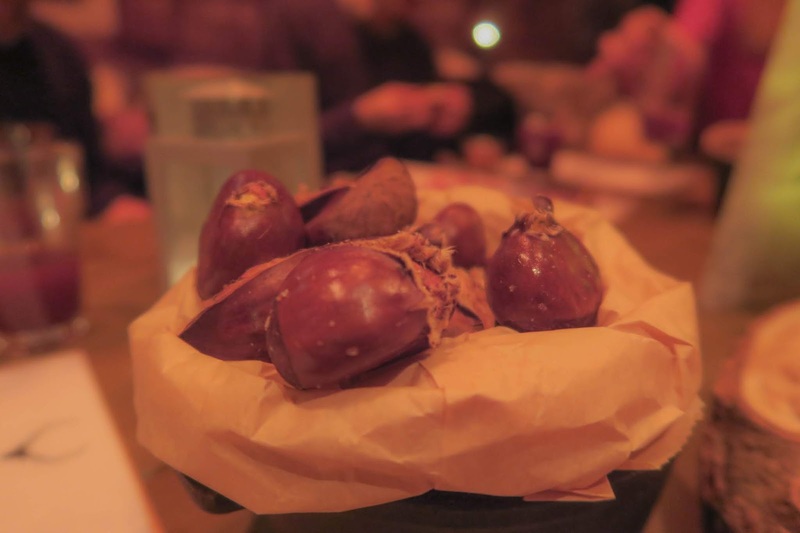 First up were the roast chestnuts, for me, these are synonymous with winter and they remind me of my grandma too! The Off-Piste menu and experience will only be available until January, so make sure that you book in for an incredible time. My personal favourite was the sauerkraut, it's absolutely delicious, and not something I eat often. The food just keeps coming with this menu, and thankfully there is plenty of space in between each course as you definitely need to take it slowly in order to be able to leave enough space for everything. 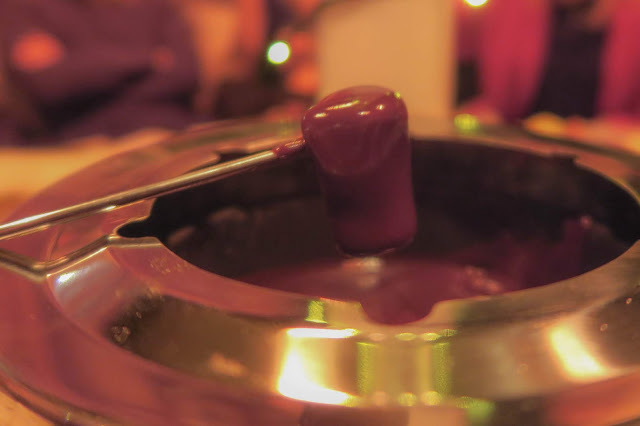 The highlight of the Off-Piste menu is the incredible chocolate fondue. 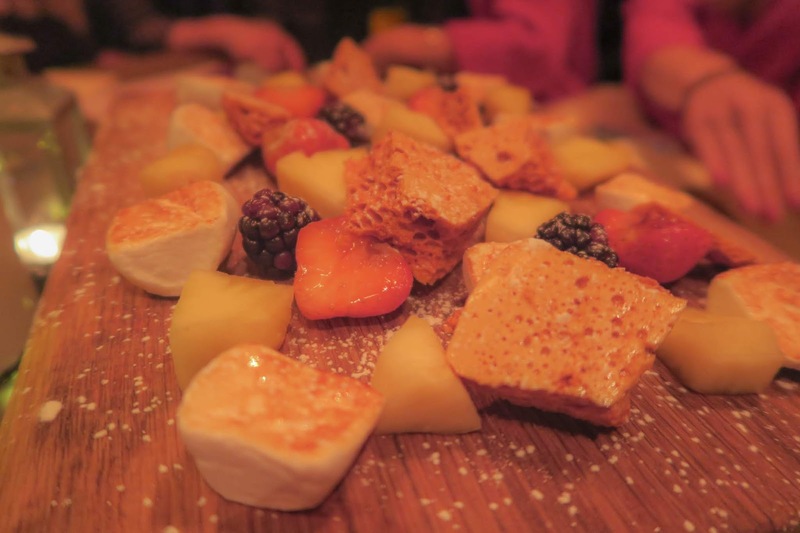 You are brought a platter of fresh fruit, lightly toasted marshmallows and honeycomb. It's a truly indulgent dessert, but one I am totally on board with! In fact, my friend Sarah has asked if we can have chocolate fondue when we go on our next families weekend away! The Off-Piste experience is also being widened to children with an extra special guest, Father Christmas himself! He will be visiting for Santa Sundays, bookable until the 23rd of December. For a fee of £10 each child receives a one hour fun experience, which includes a 20 minute story session and present from Santa himself inside Alexander’s luxury Alpine ski chalet, located in the midst of its very own winter wonderland. It's possible to add breakfast or lunch from the Little Explorers or the Little Reindeer's menu. As an extra treat this festive season, Alexander’s is offering ‘Breakfasty Brunch all day on Boxing Day. If you fancy getting out of the kitchen and having a lazy day, this is the one for you. There's even hot chocolate and smoothies, so it's perfect for children too. 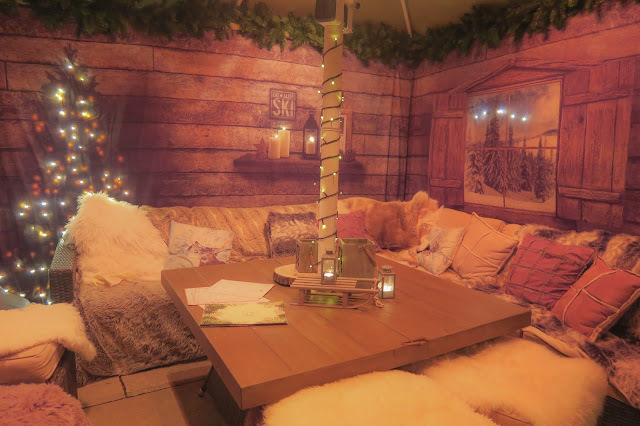 For further information or to book for Santa Sundays or Off Piste please visit; alexanders-skipton.com. 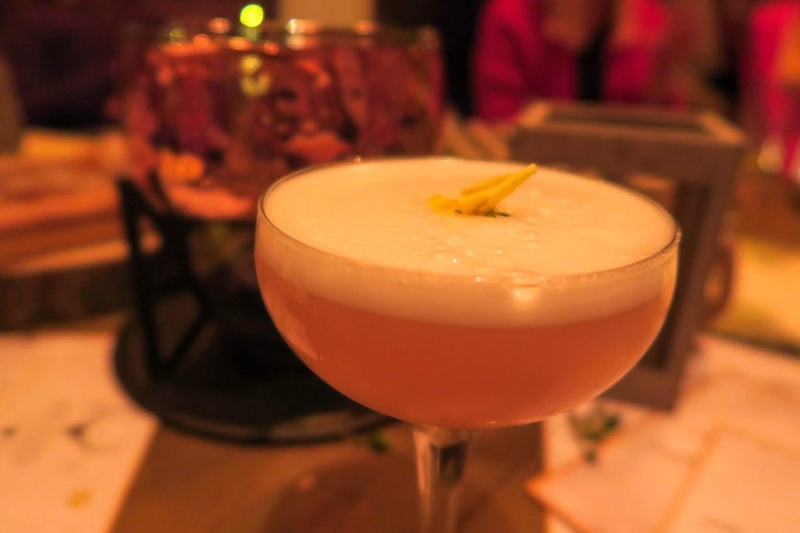 Disclosure: I was invited to the press evening and a sample of the Off-Piste menu for the purpose of this post. All opinion is my own.